NEW DELHI: Under Automatic Exchange of Information (AEOI) route, the Government is aggressively collecting information about foreign assets accumulated by people in foreign countries and for this, it has signed treaties with various countries such as Hong Kong, Switzerland to plug in the loopholes, informed Sushil Chandra, Chairman, Central Board of Direct Taxes (CBDT) at an event – ‘National Conference on Recent Challenges in Taxation and the Way Forward’ organised by ASSOCHAM in New Delhi. Talking about the efforts to encourage taxpayers disclose their foreign assets, Sushil Chandra added that the Black Money (Undisclosed Foreign Income and Assets) and Imposition of Tax Act has a triggering impact and as part of the Common Reporting System (CRS), it has helped the Income Tax Department to identify many people who have created many undisclosed foreign assets. He appealed the taxpayers and the tax consultants to fairly disclose the foreign assets and income thereof under the assets schedule of their returns and cautioned that a failure to do so would invite prohibition under the Act. According to the Income Tax Department data, certain cases surfaced where foreign remittances of Rs 10 Lakh were made, but the taxpayers did not file the returns. Speaking about initiatives such as limited scrutiny of the Income Tax returns where the back office will seek initial clarification on peculiar aspects they find in the returns and in case of incorrectness of the information, the same will be handed over to the concerned Income Tax Officer (ITO) for further verification. The Income Tax Department, as Chandra said, is facing the challenge of widening and deepening the tax base, but expected that this initiative will ease the return verification processes, as it is recognising the needs of the taxpayers, social needs and ease-of-doing-businesses. Rahul Garg, Chairman, National Council on Direct Taxes, ASSOCHAM said that there has to be convergence between the tax payers and the Income Tax Department with moderate tax regime with the use of technology. 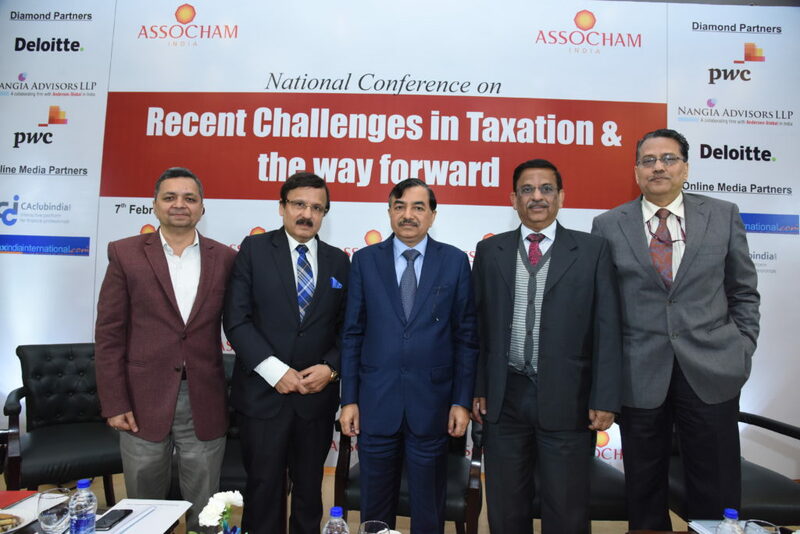 Also present on the occasion were – Binod Kumar, Chief Commissioner of Income Tax (International Tax & Transfer Pricing), S. P. Singh, Co-Chairman, National Council on Direct Taxes, ASSOCHAM and Rakesh Nangia, Co-Chairman, National Council on International Taxes, ASSOCHAM. The Conference also discussed the scenario of ‘Changing Landscape of Indian and International Tax Systems’.